My Heart Aches For MY Oakland! I attend Art Murmur/First Friday almost every month, in fact, I look forward to it. I get the chance to introduce this fantastic event to those friends who are either, not from Oakland, or have never been. Last night was no exception; I brought along a friend, who although from Oakland had never attended First Friday, and was a bit apprehensive. She even asked me if there had ever been shootings, and I assured her that the night would be peaceful. We arrived at 27th & Telegraph around 7PM, and started walking down Telegraph, and I kept pointing out to her all of the trendy spots that had opened recently, we walked down 24th, so she could see the newly opened The New Parkway theater. We stopped by to check out a lot of the vendors, and continue on walking down Telegraph. We ate at Xolo, had a few drinks at SoMar, an ended our night at The Rock Steady down on San Pablo Ave. It wasn’t till I got home, and noticed that a friend posted on facebook that she had heard gunshots while on Telegraph. I honestly didn’t think much of it, and simply responded that I always try to be home before midnight when I go to First Fridays. My brother woke me up this morning by telling me that he had heard on the news that there was a fatal shooting at First Friday. I seriously could not believe it! Who could possibly taint such an extraordinary event? What was the motive? WHY? I checked out my twitter feed, only to confirm what my brother had told me... “Gunfire rang out in the aftermath of an event meant to highlight the city's creative resurgence Friday night, leaving an 18-year-old man dead and three other people, including a 17-year-old boy wounded, police said Saturday. It was believed to be the first time in the seven-year history of the First Friday event that such deadly violence had occurred. Killed was Kiante Campbell of Oakland…” read the newspaper article online. I was angry, sad, speechless… if there is one thing about me; it is how proud I am to be from Oakland. How happy I was when I moved back after residing in the city of Newark, CA. for three years. There were people who questioned my reasoning behind wanting to move back, so many of them asked me why I would want to live in such a violent city. 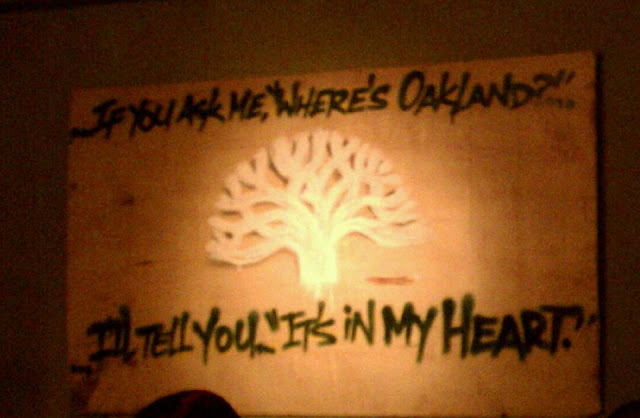 My response was always the same; you don’t know Oakland as I know Oakland. 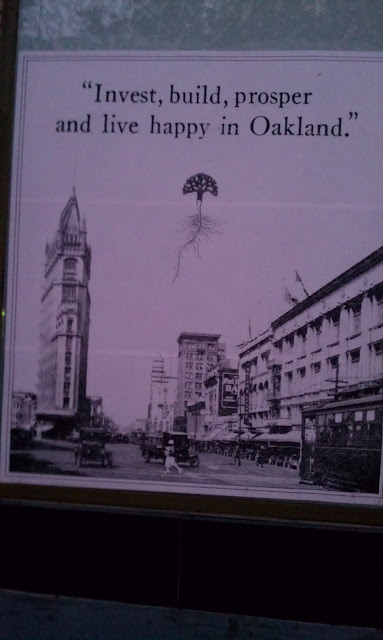 I often get those astounded looks when I tell people that I live in Oakland, and there is almost always that one person with a snarky comment about how Oakland is such a terrible place. My heart aches, it saddens me to see just how much violence there is, it takes away from how beautiful Oakland is, and all it has to offer. For the last few years, I have even stopped visiting San Francisco as much as I used to, precisely because of all of the new establishments that have been opening up in Oakland in recent years. The art galleries, restaurants, bars, you name it, Oakland has it. I am sitting here, reading the updates on the shooting, and I keep questioning in my head, what is it going to take for Oakland to become a peaceful city? Who are all the people behind all the shootings, the murders, the violence? Why do they taint our city red? The more I read comments posted on the different news website, the tweets, the notes on facebook, the more that my heart aches. As a community, what can we do to help? I am at a loss for words. I know a lot of you share my sentiment; you love Oakland as much as I do. We, the Oaklanders, know what is like growing up in these streets, we are the generation of educated people who did not let the reputation of our city ruin our future. We, the college graduates, the young professionals, we need to take our city back. What is it going to take? The time to take action is now; we cannot let all these scumbags continue this non-sense violence. We have to do it for the future of our city, for the sake of the young kids who call Oakland home, for the people who have lost loved ones. What legacy do we want to leave behind? How do we want people to remember OUR city?